The cozy comfort of this home, at any this time of the year, offers warmth and takes advantage of the limited light through the many large windows. 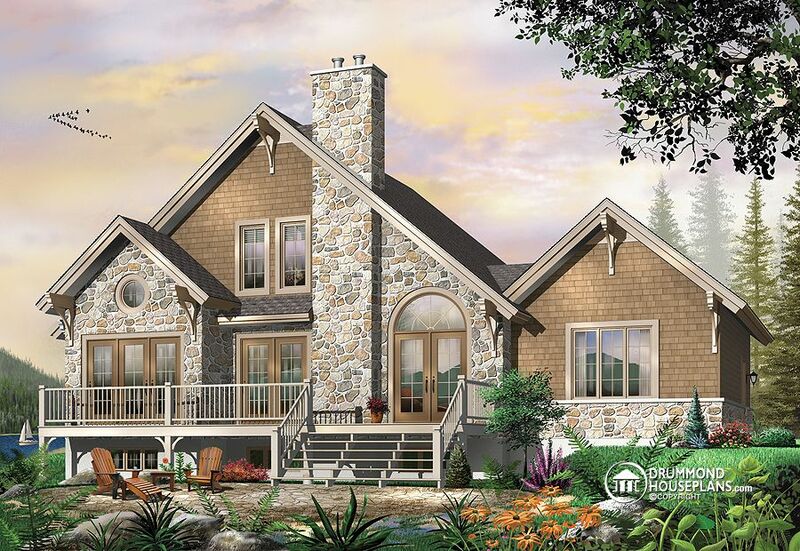 A combination of materials, decorative touches and roof slopes adds to the inviting feeling of this beautiful model. 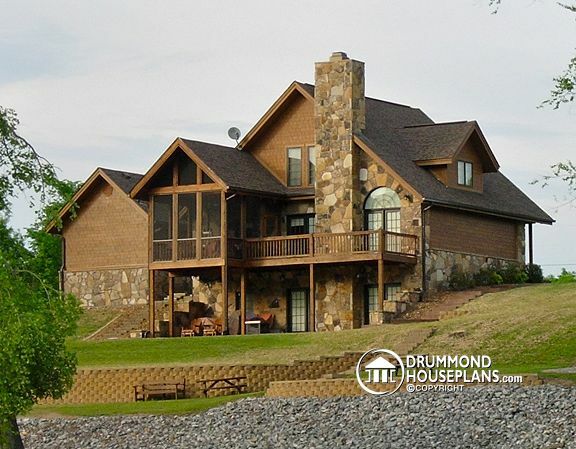 Superb 4 season mountain house plan or lakefront cottage plan with lots of natural lights! 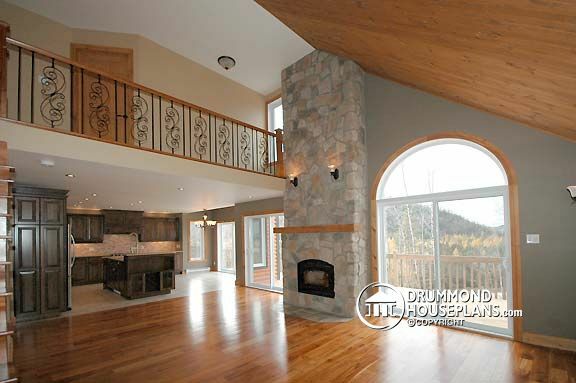 The entrance foyer has a large walk-in storage space is wonderfully convenient and opens onto the welcoming living area that’s complete with a central fireplace, french doors to the terrace and a cathedral ceiling that adds to the allure. The large kitchen/dining area has room for a table that seats six and breathtaking views beyond the abundant fenestration. The master bedroom on the main level also has a partial view of the back and a large walk-in closet. Upstairs, two other bedrooms share a full bathroom and a mezzanine within the cathedral space for a delightful view from above the main living area. This chalet is an absolute ‘must’ for those interested in a 4 season home that really takes advantage of everything there is to offer. Have a look at our Cottages & 4 season Vacation House Plan Collection for more beautiful chalet designs!